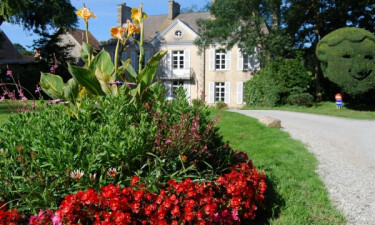 Welcome to Château Lez Eaux Campsite. Château Lez Eaux luxury camping site is a family-friendly favourite, built on the grounds of a charming château in St Pair-sur-mer, Normandy. Here you have the best of many worlds; a beautiful lake, stunning views and great onsite amenities. There's a beach not too far away and a great pool complex, all designed to make your camping holiday one to remember. To book your luxury bungalow tent or mobile home accommodation, contact LUX-camp today for further information. 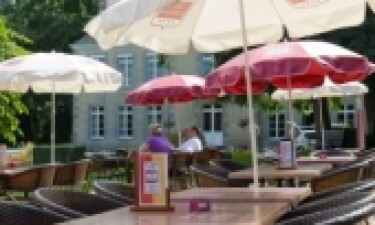 What's special about Château Lez Eaux luxury camping? 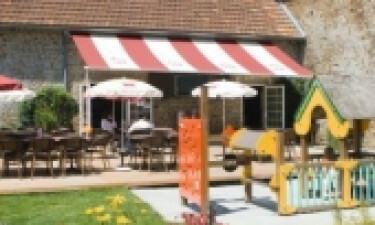 Château Lez Eaux campsite has a great multi-choice swimming complex that caters for every family member. There's an outdoor and indoor lagoon plus a paddling pond with water games for the little ones, as well as an exciting choice of four water slides, fountain features and a cleverly constructed kids pool that has a jungle theme going on. The resident lake is home to carp, roach and eels if you fancy a bit of fishing, and the surrounding terraces provide ample sun loungers so you can relax and soak up the French sun. When you're not relaxing on the site or in your luxury mobile home, why not plan a day excursion to one of the local beaches? Jullouville and Saint Pair are only 4km from the site and you can even rent a bike to get there. Pack a picnic for the family, and avail of the traditional sunny climes, or just kick back and relax to the sound of the crashing ocean waves. Join in on some traditional beach games, or amble along the sandy coast and breathe in the fresh sea air - the options here are as endless as you want them to be! There are lots of tourist attractions close enough to this campsite. The aquarium at Granville is a firm favourite for families with displays of rare minerals and coral delights. There's also a fairy-tale world for the kids to enjoy and a very interesting section on insects and butterflies. Extending on the animal theme, the Zoo de Champrepus is less than 20 km away. Mont Saint Michel, a picturesque peninsula pier, is well worth a visit. For more family fun try the adventure parc at Beauregard. This holiday resort is close enough to many surrounding towns and villages which will give you lots of choice shopping opportunities. Make sure you sample the local French cuisine; oysters, wine, coffee, and traditional bread and pastries.